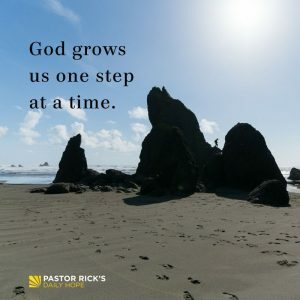 He prefers to work in incremental steps in our lives. “So get rid of your old self, which made you live as you used to — the old self that was being destroyed by its deceitful desires. Your hearts and minds must be made completely new, and you must put on the new self, which is created in God’s likeness and reveals itself in the true life that is upright and holy” (Ephesians 4:22-24 GNT). Although God could instantly transform us, he has chosen to develop us slowly. Jesus was deliberate in developing his disciples, just as God allowed the Israelites to take over the Promised Land “little by little” so they wouldn’t be overwhelmed (see Deuteronomy 7:22). He prefers to work in incremental steps in our lives. · We are slow learners. We often have to relearn a lesson 40 or 50 times to really get it. The problems keep recurring, and we think, “Not again! I’ve already learned that!” But God knows better. The history of Israel illustrates how quickly we forget the lessons God teaches us and how soon we revert to our old patterns of behavior. We need repeated exposure. · We have a lot to unlearn. Since most of our problems — and all of our bad habits — didn’t develop overnight, it’s unrealistic to expect them go away immediately. There is no pill, prayer, or principle that will instantly undo the damage of many years. It requires the hard work of removal and replacement. The Bible calls it “taking off the old self” and “putting on the new self” (Romans 13:12; Ephesians 4:22-24; Colossians 3:7-10, 14). · Growth is often painful and scary. There is no growth without change, there is no change without fear or loss, and there is no loss without pain. Every change involves a loss of some kind. We fear these losses, even if our old ways were self-defeating, because, like a worn-out pair of shoes, they were at least comfortable and familiar. · Good habits take time to develop. Remember that your character is the sum total of your habits. You can’t claim to be kind unless you are habitually kind. Your habits define your character. There is only one way to develop the habits of Christlike character: You must practice them — and that takes time! There are no instant habits. Paul urged Timothy, “Practice these things. 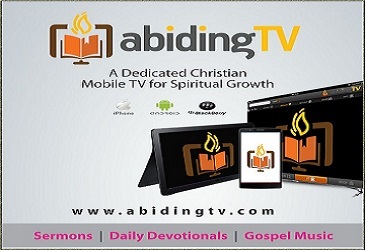 Devote your life to them so that everyone can see your progress” (1 Timothy 4:15 GW). What is a bad habit that you’ve had trouble changing? How is God helping you with this right now in your life? What one thing do you need to practice doing every day so that you are developing more Christlike character?